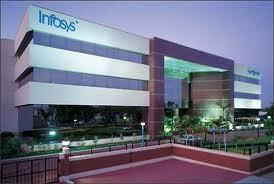 IT major Infosys announced its FY 12 results today. The results were on the expected lines. However weak guidance for FY13 had negative impact on the stock and was trading 10% lower. The company's total revenue for FY12 stood at Rs 31,254.00Cr. Net profit for the year was Rs 8,470.00Cr, thus giving an EPS of Rs147.51 and cash Cash of Rs EPS161.39. The OPM and NPM were at 38.04% and 27.10% respectively. Buy and hold for one year.